A study recently published in the International Journal of Child Care and Education Policy examines associations among length of maternity leave, mother–child interactions, and attachment among American working mothers and their infants, raising important issues for public policies supporting young children. The study, “The role of maternity leave in supporting mother-child interactions,” finds maternity leave is directly associated with quality of mother-child interactions and, through that, is linked to attachment security–a strong predictor of developmental outcomes. Despite a majority of mothers in the labor force –about 70 percent of US mothers based on 2016 federal statistics–the US is unique among Organization for Economic Cooperation and Development (OECD) countries for failing to provide at least 12 weeks of paid leave for mothers. Other than the U.S., the only countries that do not require any paid leave for mothers are Papua New Guinea and Suriname, according to the report. The report recommends several policy options, including expanding the Family Medical Leave Act to cover small businesses and more workers and requiring some leave to be paid. Opponents of universal paid leave often point to the expected costs. Yet when Rhode Island adopted a paid leave policy in 2014, the report states that public savings were reported in medical costs and unemployment. NIEER Assistant Research Professor Zijia Li recently published a new research paper, Reliability and Validity Evidence for the Hawaii Early Learning Profile, Birth-3 Years, online in the Journal of Early Intervention. This study provides the first scientific evidence for reliability and validity of this state assessment instrument for young children. Examining the degree of inter-observer agreement for a sample of representative HELP items it was found that scoring was dependable and consistent. Content validity was established by early childhood experts, and the study also found evidence of both convergent and divergent validity. This report from New America describes efforts to improve Boston pre-K and reform classroom environments, instructional practices, and curricula from pre-K through second grade–from the bottom up. Authors find increasing student achievement requires sustained efforts to improve the grades that follow pre-K and using research and data to drive continuous improvement. They cite Boston as an example for states and districts seeking to build on the gains resulting from high-quality preschool. In a new article in Nature Communications, researchers recalled participants from the Abecedarian Project (ABC), one of the oldest randomized controlled studies of early childhood, to participate in well-validated interactive economic games that probe social norm enforcement and planning. While researchers acknowledge that high-quality early childhood education can produce positive effects on cognitive and non-cognitive skills, health, and socio-economic success for participants, the effects of such interventions on social decision-making later in life are unknown. Researchers found that ABC participants who received high-quality early interventions strongly rejected the unequal division of money across players (disadvantageous or advantageous) even at significant cost to themselves. Researchers also found that the same intervention participants also plan further into the future. Researchers suggest that high-quality early childhood investment can result in long-term changes in social decision-making and promote social norm enforcement in order to reap future benefits. A new meta-analysis published in Early Education and Development examined 29 studies involving low-income children ages 3 to 5 who might be subject to risks of academic failure and other negative outcomes. Researchers found that, compared to the controls, children who learned with social-emotional learning (SEL) curricula demonstrated significantly improved social-emotional competence. The type of curriculum, fidelity of curriculum implementation, and duration of intervention were found to moderate educational effects. Researchers suggest their findings can contribute to the growing body of empirical evidence on the positive effects of early SEL curricula and explain how curricula can produce social-emotional benefits for low-income children in their early years. Another study published in Early Education and Development explored interrelations between fine motor skills, executive functions, and basic numerical skills in kindergarten, as well as their predictive value for mathematics achievement in 2nd grade in a sample of 136 children. Researchers found each of these factors made a unique contribution to the prediction of later mathematics achievement; when estimated simultaneously. Basic numerical skills were the strongest predictor. Researchers suggest that to achieve the best outcomes, all skills studied should be promoted if a child has difficulties with mathematics. Early Education and Development recently published a study investigating relationships between early childhood education teachers’ beliefs about children and teaching practices and their depressive symptoms, professional motivation, and job-related stress. The study is based on data from 207 teachers from early childhood education programs in the southern United States. Researchers found that teachers who exhibited fewer depressive symptoms were more likely to have a career orientation to their jobs and indicated feeling less job-related stress. Those teachers were also more likely to have child-centered beliefs and endorse developmentally appropriate teaching practices. However, teachers’ job-related stress was not related to beliefs about children or teaching practices. Researchers conclude based on this study, it is important to provide support systems and preventive programs for teachers to enhance their well-being. The Tennessee Department of Education is seeking a director for the state VPK Program. The director is responsible for developing and administering a quality process for the allocation of VPK funds, and for supporting districts with VPK programs through technical assistance and professional training. Details can be found here. To apply, e-mail a cover letter, resume, and contact information for three professional references to Darlene.DelRe@tn.gov. Applications will be accepted through December 7, 2018. This webinar will focus on the challenges, opportunities and realities of providing early learning opportunities for young children living in conditions of war, disaster, and displacement. Research finds these children are at high risk for developmental difficulties that can follow them throughout their lives; yet implementation of ECD programming in humanitarian settings remains sparse. 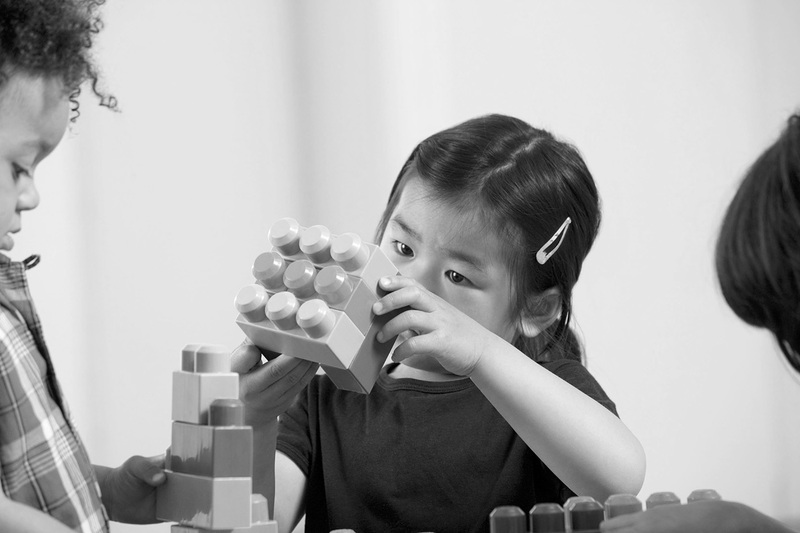 Register here to join this interactive discussion featuring Katie Maeve Murphy, Hirokazu Yoshikawa and Alice J. Wuermli, co-authors of the article recently published in the ANYAS Special Issue Implementation Research and Practice for Early Childhood Development.